Two special events are taking place in Rochester, NY this weekend. Hope you can attend! This massive fund raiser for the Rochester Contemporary Art Center opens June 6 and continues till July 12. Thousands of original artworks are for sale for $20 each. You can also view and purchase online at www.roco6x6.org. 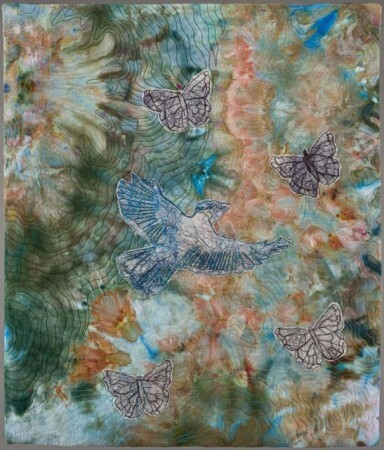 All the artworks are 6″ x 6″ and are donated by international and local artists, community members, and celebrities. The artist who created your purchase is not revealed to you until after you purchase it! It is a fun and worth cause. 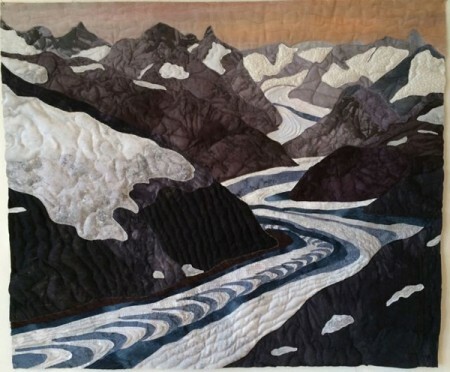 The Genesee Valley Quilt Club is hosting its bi-annual quilt extravaganza at RIT this weekend. Over 700 quilts are on display. There are countless vendors offering more fabric and quilt supplies than you could imagine. And, there are workshops, lectures, and special events. It is a must see if you live in upstate New York. For more information on time and schedule, check out Genesee Valley QuiltFest. A while back I decided to cut back on entering shows to display my art. While I was meeting with what I thought was good success, I was beginning to feel as though I was being ruled by a schedule of applying, accepting, and shipping works around the world. My already busy life was about to become busier with trans-continental commutes. I also wanted some time to percolate a bit and focus on developing skills like hand-stitching. As a result, you have to search a bit more to view my works in public. You may remember a post of mine earlier this year about the 6×6 show in Rochester, NY. About 7,000 works were displayed both online and at the center in June. People could purchase the 6″ by 6″ works but the artist’s name was not revealed until after the purchase was complete. I am happy to report that my contribution was displayed and purchased within the first week! While I couldn’t post it earlier to abide by the rules of the event, I am happy to share it here. 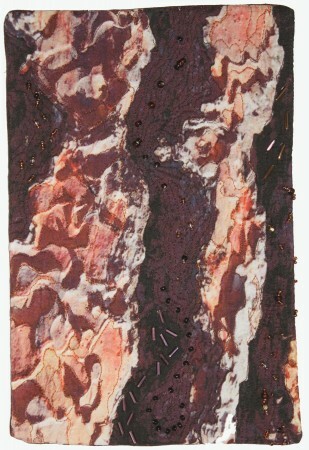 It seems like ages ago, but I did send in a contribution to SAQA’s 25th Anniversary Trunk Show. I was just reminded in a friendly email from William Reker, the SAQA Traveling Exhibition Coordinator that my piece, Crevasse, will be traveling in Oregon through August 2014. 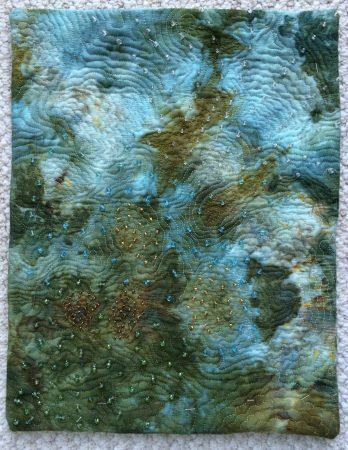 I am delighted that once again one of my art quilts will be appearing in the annual show of the La Conner Quilt & Textile Museum in La Conner, WA. The show will be October 3-5, 2014 and I will be sure to remind you of it as the date gets closer! 6700 art works to browse! Would you like to spend a bit of time browsing through almost 7,000 pieces of art? The Rochester Contemporary Art Center’s (RoCo), international small art phenomenon is now viewable online. For the seventh year, over 2,000 celebrities, international & local artists, designers, college students, and young people have contributed art works which are 6×6 square inches (15cm) or mounted to a 6×6 board, signed only on the back, and exhibited anonymously. The art works will be offered for sale to the public for $20 each in the gallery beginning June 7 and online for global purchasing beginning June 10. Artist names will be revealed to the buyer upon purchase. All proceeds benefit RoCo which you can learn more about here. Somewhere in those 7,000 pieces is one by me. I can’t display it here but let me know if you think you have found it! Have fun viewing. There are some phenomenal pieces on display. Just amazing what can be accomplished in 6 square inches!